Displaying your taste, collections, and heirlooms - valuable or not - gives a room personality and interest. If your style tends toward the simple, comfortable, country vibe, this curio console is designed for you. 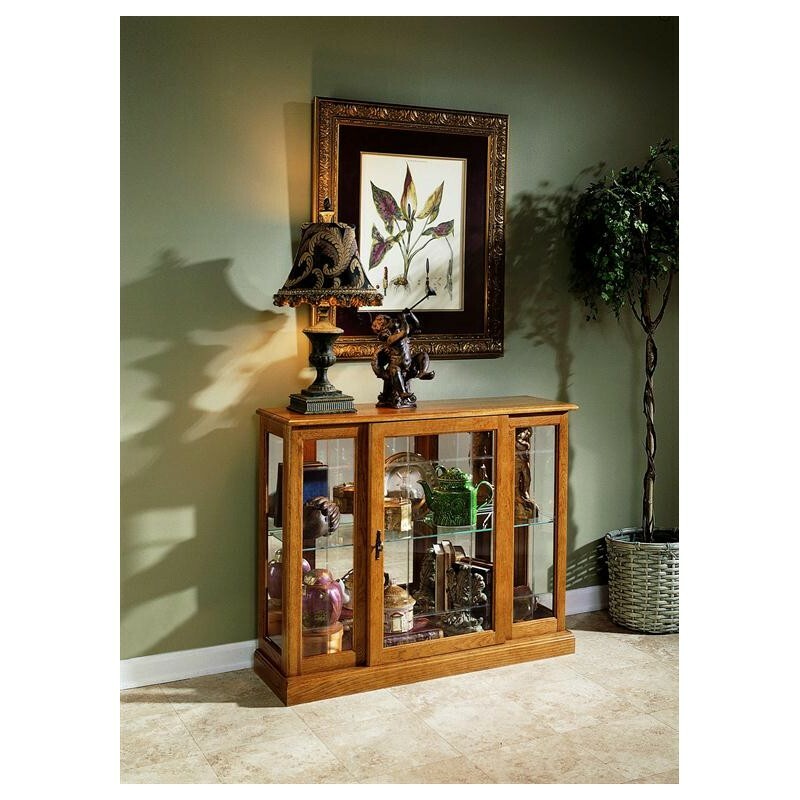 This curio console is built in oak hardw ood solids and veneers, enhanced by a Golden Oak III finish. 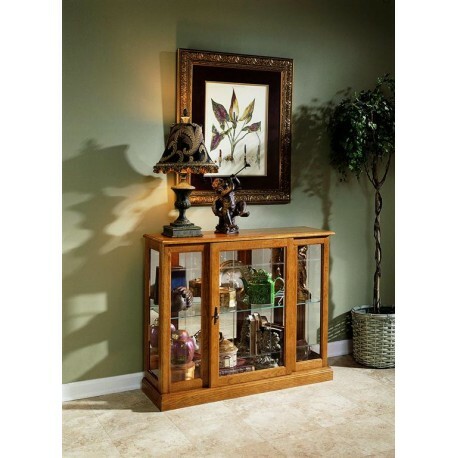 It features elegant beveled glass on the front, a mirrored back, interior lighting, and one adjustable glass shelf. A pair of these consoles would look amazing in a dining room with bright bowls or platters that complement with the light oak finish.